For a while standard 3Par owner’s could be forgiven for looking on with envy to those lucky enough to own the all flash 7450 model, with its all flash massive IOPs crunching potential and new features such as dedupe. Well feel jealous no more 3Par fans, last week HP shared out the flashy goodness to the hybrid arrays by announcing a bunch of features that will well and truly pimp out your 3Par, to an extent which would even impress Xzibit. 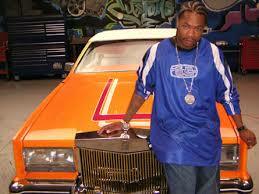 Check out this orange Roller below, I bet Rolls Royce didn’t see that coming when it rolled off the production line. The announcements from HP centred around using flash to deliver an extra whack of performance for your 3Par. The key new features were in summary Adaptive Flash Cache, Dedupe and Express Writes. All these new features are enabled by upgrading to 3Par OS 3.2.1, and the even better news is that all these new features are freebies i.e. 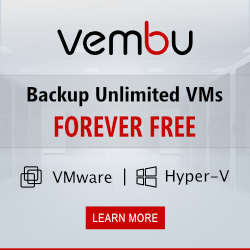 they are included as part of the standard 3Par OS. Let’s break each one of these elements down and see how it is going to deliver additional performance. 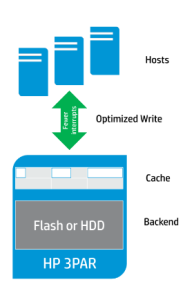 Adaptive flash cache is about utilising SSD’s to expand the size of the cache. A bigger cache allows more data to be stored in cache and hence a greater likelihood of being able to retrive data from cache. This is great news for anyone’s environment that has high random reads, judging by the fact my most popular post of all time is still Adaptive Flash Cache Deep Dive lots of other people agree. Do check out the deep dive it’s got lots of good info in it. Also check out this Adaptive Flash Cache video Calvin Zito has put together where he shows a practical demo of the kind of performance improvement that is possible. Next up Express Writes, again like Adaptive Flash Cache this new feature is aimed at improving latency but for writes by optimising the FC protocol. Express writes aims to deliver lower latency by delivering lower CPU interrupts per IO, Performance improvements can be up to 10%. Dedupe was announced earlier this year for the 7450, and last week’s announcements was that it will now be available to all 3Par systems with the Gen 4 asic i.e. the 7000 and 10,000. The way the dedupe works is exactly the same as on the 7450, inline and by the assigning a hash to each unique incoming write and then comparing the signature of further incoming writes to ensure they are unique. 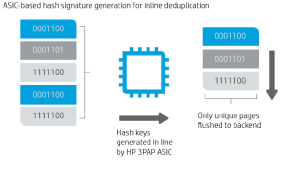 The dedupe process is demonstrated in the diagram below taken from the HP whitepaper HP 3PAR StoreServ Storage: optimized for flash. The limitations to using dedupe are that it is only available on the SSD tier and the technology cannot be combined with AO. This new set of features has to be one of the most compelling reasons to upgrade in some time. I’ll be upgrading ASAP and really making those SSD’s work for their living! You can see a summary of the announcements in this ChalkTalk. Next Post HP Discover – 1 Day to go!